Entranceways (and exits) are interesting. I like the creativity some people put into their designs for those transition areas, the ability to create a unique architectural feature of a hallway or an archway dividing a room, or a window looking out to the possibilities beyond the four walls, and the portals that carry us out of one space and into another. Particularly at this time of year, it is relevant when those of us who live in more northern climates are enjoying the days of extra living space outside our back doorways. This has to be one of my favourite outdoor spaces. The light greens, the leafy textures and shadows, contrasted with the large cement patio blocks make this an inviting natural space to want to pull up a chair and have a glass (or two) of chilled white wine. Even if you are not into the whole Farmhouse sink design aesthetic, you have to admit, this room is lovely, mainly because of the window being such a warm centre of focus. And if you look through the window, you'll notice the beautiful little lampshade hanging on the other side. It makes me ask, what's on the other side? I sure would like to find out. Enquiring minds want to know. Or maybe I will just stay awhile in this white kitchen and bake something, and make a cup of tea. How about a feature floor to ceiling portrait window overlooking a summer house with old trees and lavender growing nearby? All from the space of where you lay your head. I could sleep here. 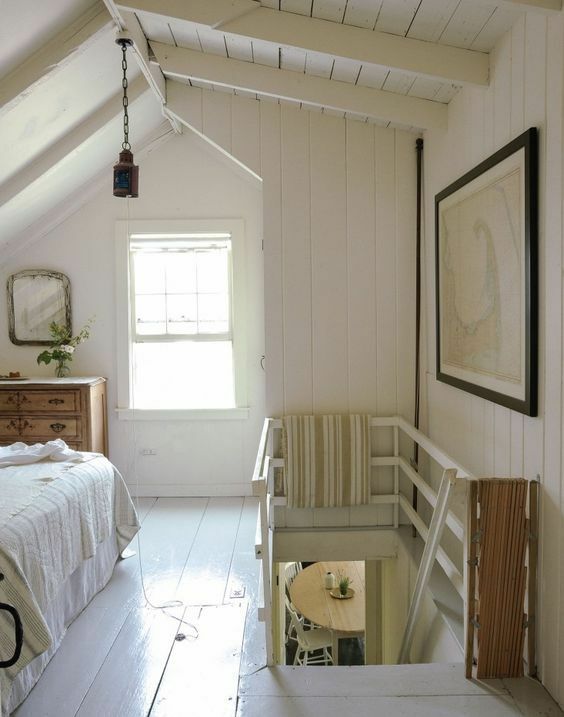 Who didn't want an attic room growing up, c'mon, show of hands! Can there be anything more delightful than standing at the bottom of a set of stairs knowing it is leading to a refurbished attic space. White spaces, ceilings that are just high enough but with a slope so nighttime will pool warm light in all the right places. Dark french doors add so much character and provide that sense of what lays beyond: a room where you close the door, and put on some music, curl up on a chair with a great mystery, and watch your household move in and out and all around you. Windows that open out - out to the beautiful places just beyond your reach, these are a favourite of mine as well. I can see doing kitchen-y things while hearing voices call out from the swing beyond. 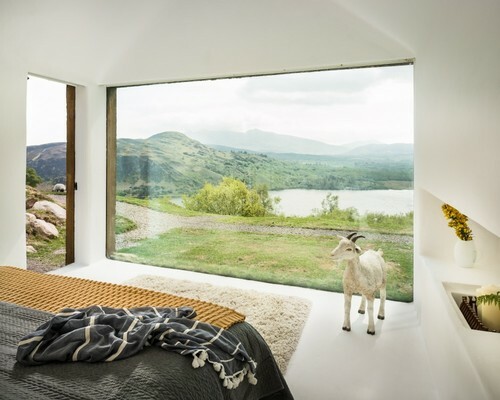 I love this article on the design of an Irish cottage. I think it was the whimsy of the goat that hooked me. Click here to view the story on Houzz. Do you have a favourite entranceway in your life?